Who doesn't love stickers? 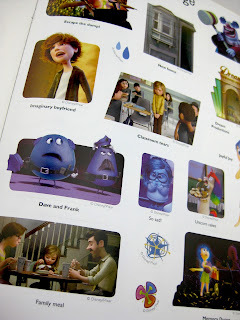 New from DK Publishing, here we have the Disney·Pixar Inside Out Ultimate Sticker Book! 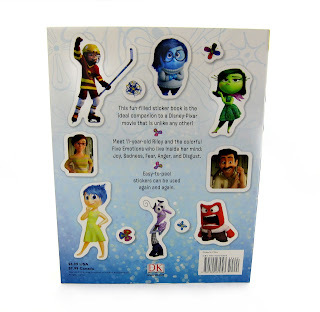 In true sticker book fashion, this release has a plethora of fun stickers (62 to be exact) based on characters and key moments from the film. It's up to you to find out where a particular sticker goes based on the silhouette and brief description. It's definitely a fun activity for kids! The one thing possibly considered a downside is that there aren't very many pages. I think it's totally fine, but just in case you were expecting more, there are just 11 pages total. Four pages of stickers and seven pages for placing the stickers. I just thought I'd bring that up since I've noticed it was a common complaint with this. Also, they say that the stickers are reusable ("Don't forget that your stickers can be stuck down and peeled off again"), but I've found that they're actually pretty hard to get off once put down. They are paper stickers after all and aren't vinyl like Colorforms (so they can rip easily). Check out some of the pages you can expect below! 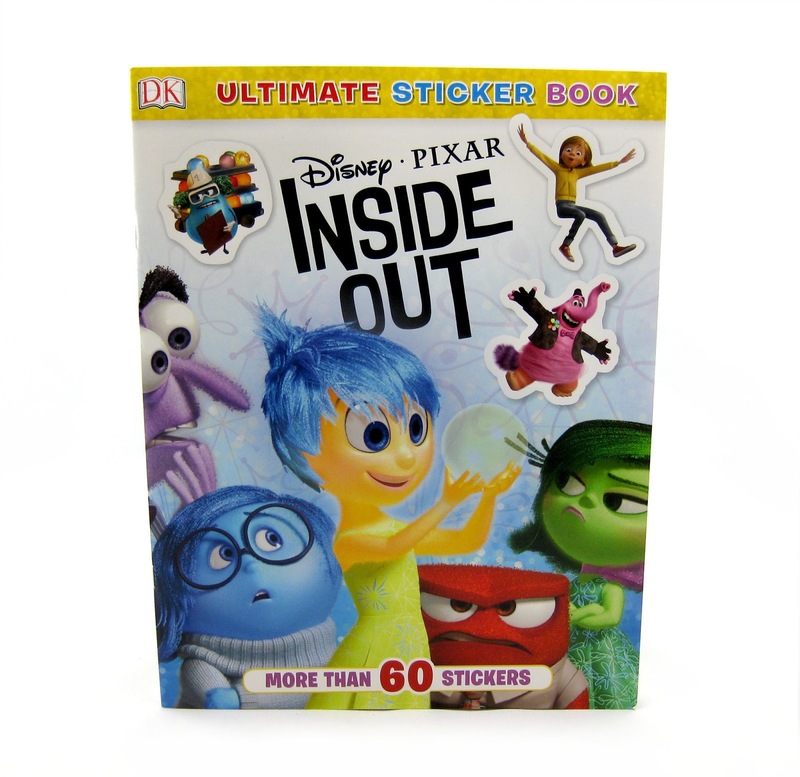 Whether you're a kid, have kids or are a kid at heart (like myself), this is a fun addition to any Inside Out fan's collection. It's nothing fancy, but it's very cute. If you've gotten these sticker books before, then you know exactly what to expect. If you're just wanting a bunch of Inside Out stickers, then this book is worth it just for the 62 you get with this! You can find this in stores or on Amazon using the link below. Have fun!